Are stock market bubbles a failure of monetary policy or just the natural order in a globalised economy? The first decade of the 21st century is now more than two thirds over. It's a good time to look back seven years - to Y2K, as we called it then - and give ourselves a quick history lesson. The year 2000 was the year that the Goldilocks economy of the 1990s (not too hot, not too cold) got a fright not just from three bears but from a whole pack. Standard & Poor's 500 Index hit an all-time high above 1500 points in August 2000, double its level at the end of 1996. But from then until the end of 2002, nearly all those gains were wiped out. By the end of January 2003, it had fallen to 855, more or less exactly where it had been in May 1997. Few investors were in any doubt that they had just lived through one of the biggest stock market bubbles and busts in history. Last year, Cassandras confidently predicted another burst bubble. But it didn't happen. The US stock markets rose by close to 13%, all but regaining the dizzy heights of 2000. The rest of the world did even better: in 2006 at least 14 different markets registered gains of 40% or more, with China in the lead. Hedge funds made money. Investment banks made serious money. Private equity partnerships made crazy money. With volatility falling to 10-year lows, risk seemed to have been all but abolished. Fortune favoured the brave - and the highly leveraged. The conventional wisdom gives credit for this to globalisation. As the giant Asian economies have belated-ly embraced the free market, the trend growth rate of the world economy has risen. Whereas the Asian 'tigers' used to borrow money from the wealthier West to finance development, now they rely on their own savings. This keeps Asian currencies relatively weak against the dollar and Asian exports cheap in the eyes of American consumers. It also allows the US to run a huge current account deficit - a global overdraft facility that pays for tons of goods from Asian manufacturers. There is, however, a second explanation for the relative stability of the global economy, even in these politically dangerous times. It is liquidity. Traditional measures of money supply have their defects, but they give an indication of the recent growth of credit. In the US, M2 grew about 4.7% last year, compared with an average growth rate of 3.8% in the 1990s. The broader measure known as M3 is no longer officially available, but unofficial estimates put its current growth rate at between 9% and 10%. And such national figures understate global liquidity growth. The world's central banks now control about $5 trillion of reserves; China's alone has $1 trillion. That has raised monetary growth rates in emerging markets: last year M2 expanded by 14% in emerging Asia. Now factor in the new forms of liquidity not captured by monetary aggregates. According to Morgan Stanley, collateralised loan obligations worth about $66 billion are the base of another inverted pyramid. On top of these new instruments are stacked $400 billion of leveraged loans and $1.1 trillion of high-yield loans. Yet investors and managers would do well to remember that liquidity can ebb as well as flow. The last age of globalisation ended with a bang in 1914 as a result of a geopolitical shock that took investors completely by surprise. The obvious 'global imbalance' in those days was the extraordinary accumulation of overseas assets by Western Europe and especially the UK. There was also a widening of income inequalities in rapidly industrialising countries, which proved to have explosive consequences in central and eastern Europe from 1917. Past experiences also suggest that liquidity can be sucked out of the international financial system if international monetary authorities make mistakes, as happened after 1929. Of course, in those days the world economy was constrained by the gold standard, whereas today's world economy is propelled by fiat currencies. For that reason, the most insidious economic danger facing the world probably remains a revival of inflation. The challenge for investors and policy-makers is to work out how best to detect such an inflationary revival - no easy task at a time when monetary expansion is more likely to translate into asset price inflation than into old-fashioned consumer price inflation. Which brings us back to Y2K - the peak of the last stock market bubble. Was it a failure of monetary policy that led to the painful correction that followed? Or are bubbles just the natural order of things in a globalised economy? Investors and managers would sleep easier if they knew where the next bubble will appear - and when it will burst. But since they know neither, the wisest strategy is to bet against the Cassandras. They are right roughly only once a decade, after all. 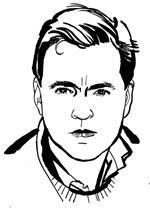 Niall Ferguson is the Laurence A Tisch professor of history at Harvard University and author of The War of the World: history's age of hatred, Allen Lane 2006.